I was a sophomore in high school when my mom first took me to a thrift shop. I remember getting a tie-dyed tank top and a neon green knitted cardigan which I pretty much wore throughout summer that year. That’s how I was introduced to secondhand shopping, a hobby I take with me now even after I have gained financial independence. Why do I still frequent ukay-ukay shops, you might ask. Well, for starters, I like that I’m less likely to see on someone else whatever I pick from a shop’s rack. There’s also that joy of knowing that I’ve extended a piece of clothing’s life, absolving the environment a few years of its destructive impact. Going second-hand and being an eco-conscious dresser is gaining popularity now. But since taking the ukay route may not be for everyone, it’s a good thing, many labels, especially local ones, are making a move towards sustainability—not just in a secondhand sense, but also through upcycling old fabrics and clothing items. Here are some local labels who champion sustainability and where you can get your upcycled wardrobe staples. Rory Vintage Blouse Medium to Large Php 499 Comment ‘mine’ to reserve and dm the order form in our highlights. Shop more beautiful vintage embroidered tops like this on our site. Link in bio. This brand prides itself in using only secondhand clothing for their embroidered tops like blouses. You can also have your existing clothes embroidered with a design of your choice through their custom service—why buy new clothes when you can just re-design them? Taytay, Rizal has a booming textile industry and along with it a looming textile waste problem. Indayog is among the many labels who salvage these scraps and make them into new clothing such as dresses and outerwear. Since 2012, this brand has been advocating for vintage and reclaimed pieces they’ve sourced from various private closets and from ukay-ukay. They also venture into upcycling deconstructed clothing and transforming deadstock fabric into new creations. In Poblacion, a vintage store is attracting crowds for its collection of Filipiniana and sustainable living staples courtesy of eco-preneur Daniela Calumba. 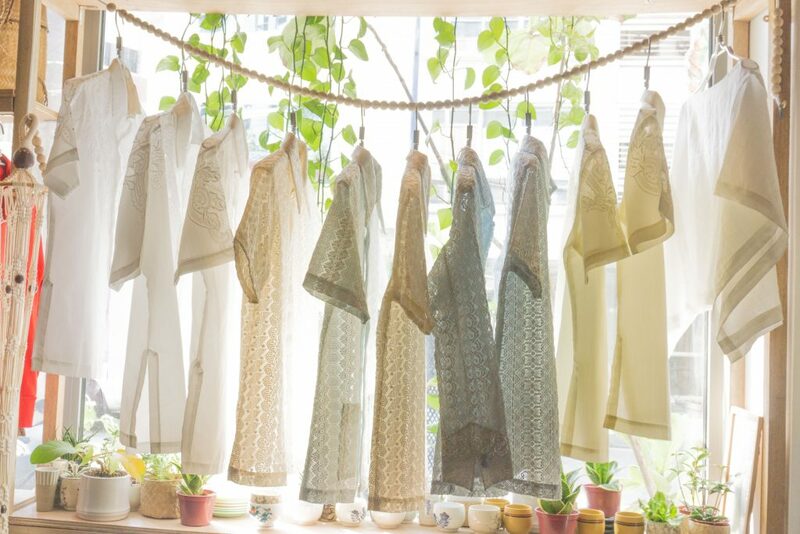 Glorious Dias rummages through private collections and thrift shops for vintage pieces like intricately-embroidered deadstock barongs which they then wash and dye a new color—ready for the contemporary times. What is mohair and why are high street brands banning it?